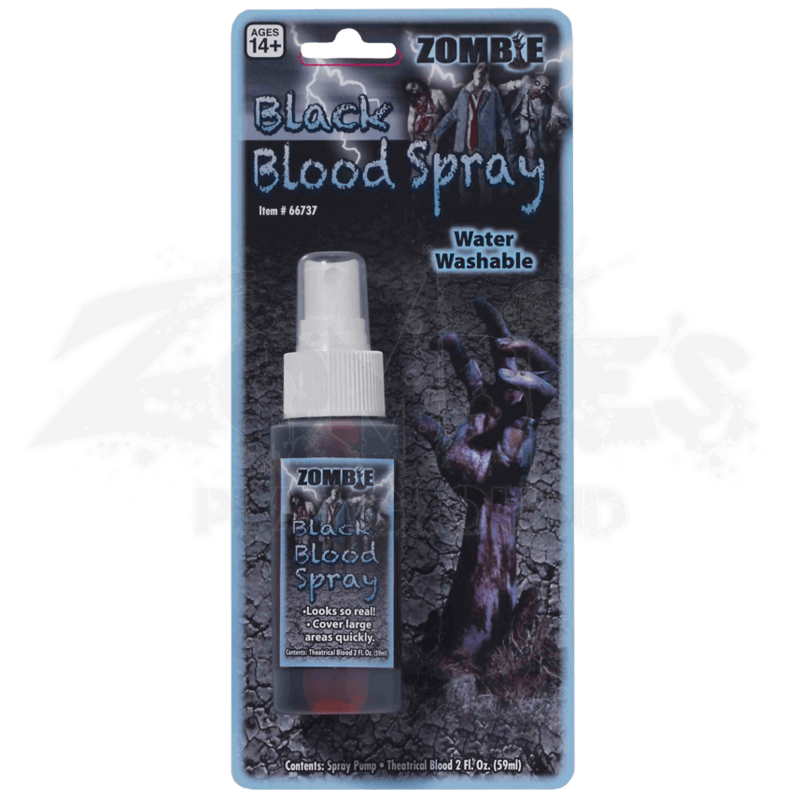 When you need to cover undead skin with a lot of flowing, blackened blood, turn to the Zombie Black Blood Spray. With its convenient spray nozzle, this bottle takes the hassle out of applying a fresh coat of oozing blood to zombies. This bottle is filled with realistic looking blood that is designed to look as though it came from an actual zombie. It even flows and stains like real blood, and can be left to coagulate as it dries! Because it comes from a zombie, though, it does have a darker, blacker appearance, which makes it look like dead blood, rather than vibrant, red blood. Simply shake the bottle to mix the solution and then apply via the spray top to coat yourself or your zombie friends with a shower of dripping black blood. And since the bottle is light-weight and easy to carry, you can even carry it around to re-apply and freshen your bloody appearance wherever you go! This bottle contains 2 fluid ounces of black blood. 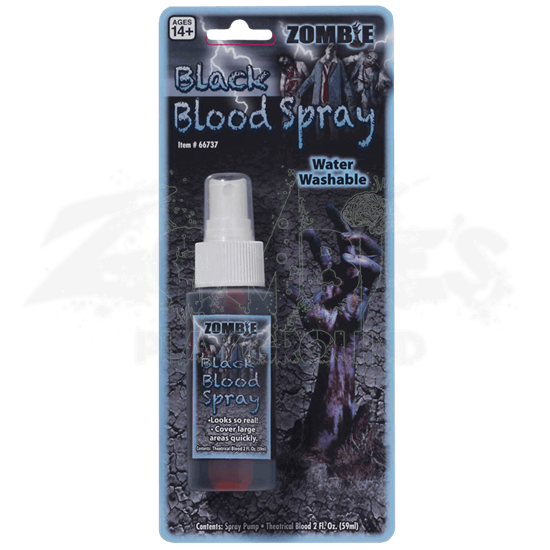 If your zombie costume lacks that bloody, visceral appearance, pick up a bottle of Zombie Black Blood Spray and give yourself a few good spritzes to ensure you have that bloody, gory zombie look.